A COURSE FOR UNDERSTANDING THE APPROACHES TO FUNCTIONAL TRAINING FOR EACH CLIENT’S INDIVIDUAL FUNCTIONAL NEEDS. 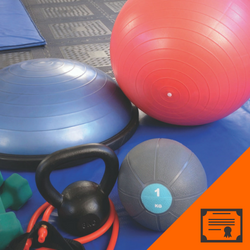 This online course defines functional exercise and explains its importance to the training program. Learn the science behind functional training and how to apply it to each client. Take a comprehensive look at the foundational principles of functional training and the importance of testing for core strength. This course will cover various techniques for dynamic training of the core through multi-planar movements, challenging the center of gravity, and through isometric exercises. Take the test whenever you’re ready, in your NFPT Account. You will be awarded your certificate of completion and CECs immediately upon passing.